Home of Broadway, Wall Street, Lady Liberty and more, New York City also boasts a world-class selection of universities. Eight of these are featured within the QS World University Rankings® 2019, with an additional three universities located near the city. Together, they make New York City one of the most popular study destinations in the world, as shown by its rank of 18th in the QS Best Student Cities 2018. To help you decide where you might like to study in New York City, here’s an overview of the city’s top universities, based on the latest world rankings. Ranked 801-1000 in the QS World University Rankings 2019, Fordham University calls itself the Jesuit University of New York and specializes in liberal arts, sciences and business. Fordham University is composed of 10 colleges – four for undergraduates and six for postgraduates. These enroll around 15,580 students in total, with two main campuses in New York City – the Rose Hill campus in the Bronx and Lincoln Center in Manhattan – as well as a much smaller campus in West Harrison, about 25 miles north of Manhattan. Fordham University’s Rose Hill campus is close to the Little Italy area, historically associated with Italian migrants and still characterized by Italian restaurants and shops, while the Lincoln Center is close to the south-east corner of Central Park. Though actually located in the neighboring state of New Jersey, the Stevens Institute of Technology sneaks into our list of top universities in New York due to its location across the river from Manhattan Island. It’s ranked in the 651-700 range in this year’s world rankings. Situated on a 55-acre campus in Hoboken on the west bank of the Hudson River, Stevens Institute of Technology provides a nearby escape from the city center, offering up some stunning views of NYC’s famous skyline. As its name would imply, the Stevens Institute of Technology has a strong focus on engineering, science and technology subjects, marketing itself as the Innovation University. However, it also offers degrees in arts and humanities subjects – and in fact all undergraduates are required to take some humanities courses. Around 6,900 students are enrolled at the Stevens Institute of Technology, more than half at postgraduate level. While all the other universities in New York listed here are private, the City University of New York (CUNY) is NYC’s public university system. Currently ranked 601-650 in the world, CUNY is the largest urban university system in the US, composed of 24 colleges spread across Manhattan, Queens, the Bronx and Brooklyn (plus one on Staten Island), with 274,000 students enrolled in a huge variety of courses. From vocational training to PhD research, full-time study to evening classes, the City University of New York almost certainly has a program to match. CUNY also prides itself on having strong connections with the city’s neighborhoods, running a network of internship and fellowship programs across the five boroughs to enrich study life. Ranked 531-540 in the most recent world university rankings (up from 601-650 last year), The New School (previously named New School University) has more than 10,000 students, of which around 30 percent are international. The New School has its main campus in the artistic environs of the Village, an apt location as the institution focuses largely on the arts, humanities and social sciences. Its seven academic divisions are: liberal arts, music, drama, jazz and contemporary music, public engagement, social research, and design. Among its famous alumni, The New School boasts forerunners in several artistic fields, including actor Bradley Cooper, fashion designer Tom Ford and composer Burt Bacharach. Continuing to improve its position in the QS World University Rankings (now ranked joint 310th in the world), Yeshiva University is another of the top research-focused universities in New York. It was founded over 100 years ago with the mission of combining Jewish traditions and culture with Western heritage, and the continuing influence of this cultural focus is seen in the Yeshiva University Museum, which explores Jewish life through art, architecture and history. A relatively small university compared to most of the other universities in New York listed here, Yeshiva has around 7,500 students, of which just over 3,000 are undergraduates. With campuses and facilities spread across Manhattan, the Bronx and Queens boroughs (and some in Israel), Yeshiva University’s main campus is in the Washington Heights area of Upper Manhattan. New York University (NYU) is another of the top universities in New York City to be ranked among the world’s best, up nine places this year to rank 43rd. Notably, New York University has a strong focus on internationalization, with a number of branch campuses around the world and an impressive study abroad program. As well as helping its own students spend time abroad, NYU also counts a large number of international students among its extensive student community. While NYU has several New York locations, its main hub is the Washington Square campus, in Greenwich Village. Known as the Village, this area of Lower Manhattan is famed as one of New York City’s most creative and bohemian localities, offering a great atmosphere for NYU students. Over the years, the school has attracted an eclectic mix of writers, artists, musicians and intellectuals to study in New York – and no doubt this is all part of the appeal for many creatively minded students. Columbia University is currently 16th in the QS World University Rankings, which makes itthe ninth best university in the US. Another member of the prestigious Ivy League, its famous alumni include US President Barack Obama. A world-leading center of research, Columbia University has a strong offering across the full subject spectrum. In the QS World University Rankings by Subject 2018, Columbia is ranked for an impressive 40 out of a possible 48 subjects, including the top 10 for English language and literature, earth and marine sciences, history, economics and law. Columbia University has a central location in the Upper West Side of Manhattan – close to the northern tip of Central Park and just off Broadway, the boulevard which gives its name to New York’s famous theater scene. It boasts a highly diverse faculty (over 3,800 academic staff) and the third-largest international student population of any US university, with 35percent of its 32,400 students coming from outside the US. Trying to decide between Columbia and NYU? Find out how they compare here. 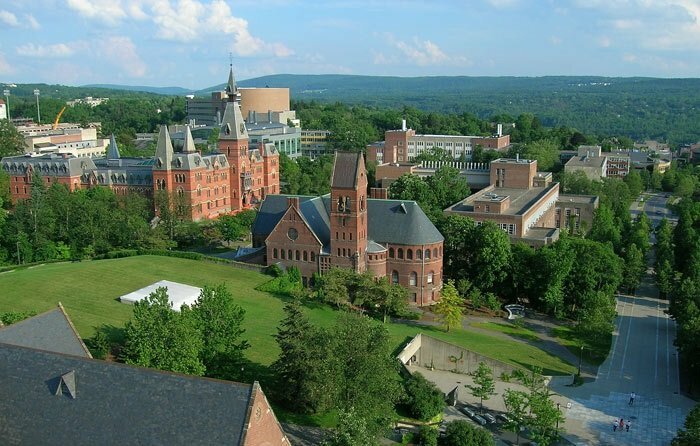 Cornell University is currently ranked 14th in the world, making it the best university in New York City and one of the best in the country. A member of the prestigious Ivy League group, it offers a range of both academic and more vocational courses. Known for being the first US university to offer a degree in veterinary medicine, Cornell University also bears the title of the first US university to teach modern Far-Eastern languages. Cornell University’s main campus is in Ithaca, around 200 miles to the north-west of New York City, but it also has a strong presence in NYC. Its medical campus can be found in the Upper East Side of Manhattan, and in September 2017 the university opened the innovative ‘Cornell Tech’ engineering campus on Roosevelt Island (the island located in the middle of the river that separates Manhattan Island and the borough of Queens), creating 28,000 jobs. Cornell University’s schools of financial engineering and architecture are also based in Manhattan. There are three more internationally ranked universities close to New York City, located in adjacent states. These are Rutgers – The State University of New Jersey, New Brunswick (ranked joint 283rd in the world), the University of Delaware (joint 439th) and Rutgers – The State University of New Jersey, Newark (601-650). Located outside of New York City but still close by, these universities may appeal to you for their quieter surroundings and less expensive living costs. To explore all of the top universities in the US, click here. This article was originally published in January 2015. 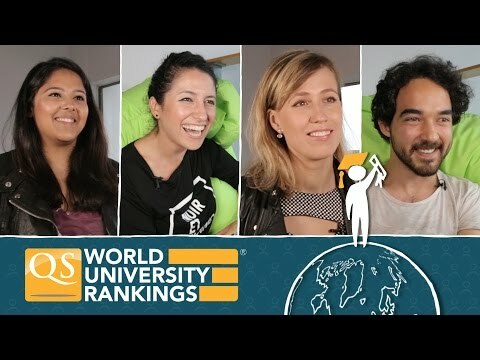 It was last updated in June 2018 to incorporate the latest QS World University Rankings® results. How about Boston University Is not one of the top University?